Oppo A3s Price In India is Rs.8990 for 2GB/16GB variant and Rs.10990 for 3GB/32GB variant. The smartphone is powered by an octa-core Snapdragon 450 SoC and sports a dual rear camera setup. It also has a selfie camera powered by Oppo's AI Beauty Technology 2.0. The dual real cameras bring an excellent portrait experience to everyone. No coupon code needed. Shop now! OPPO slowly found its place in the top 5 smartphone vendors in the country. The sole reason for this success is by launching smartphones targeting the niche audience. Apart from being just selfie centric phones, OPPO has recently started focusing on unique smartphone designs and bundling powerful internals that is in line with top vendors like Samsung, Xiaomi, Huawei in India. The company’s F and A series smartphones proved to be extremely successful thanks to their value for money offering. Joining the club is the recently launched A3s. At Rs. 13,990, the A3s is competing against the Redmi Note 5 Pro, recently launched Nokia 6.1 Plus, Zenfone Max Pro. So, it needs to be seen how well the device can fare in real life and in our today’s review, we shall find out if the phone has what it takes to stand still among the competition. The OPPO A3s sports a 6.2-inches HD+ (1520 x 720 pixels) 18:9 FullView 2.5D curved glass display. It is powered by the Qualcomm Snapdragon 450 14nm Mobile Platform clocked at 1.8GHz Octa-Core with Adreno 506 GPU. There is 2GB RAM with 16GB storage / 3GB RAM with 32GB storage that is further expandable up to 256GB with microSD. It runs on Android 8.1 Oreo with ColorOS 5.1. In terms of camera, there is a 13MP rear camera with LED flash, f/2.2 aperture, and a 2MP secondary camera with f/2.4 aperture. On the front, it packs an 8MP shooter with f/2.2 aperture. Connectivity features include 4G VoLTE, Wi-Fi 802.11 b/g/n, Bluetooth 4.2, GPS + GLONASS, USB OTG. A 4230mAh built-in battery. The OPPO A3s is a combination of plastic and glass body, and this makes the phone a bit refreshing compared to the metal unibody designs. The back panel packs a glass body, and it looks elegant enough for the price range. The 6.2-inches size despite being big surprisingly is very comfortable to hold in hands, thanks to narrow bezels on the sides. As said above, the glass back looks stunning but attracts fingerprints and smudges quite easily. The side frame is completely plastic and offers to a better grip. While it may be comfortable to hold in hands, one-handed usage is not very easy as it is hard to reach all corners of the phone even if your big hands. At 168 grams, it is not very light, but not very heavy to hurt your hands after extended usage. The debate between metal unibody and the glass+plastic combination is up for some other day, but for now, OPPO did a fantastic job with the build quality. Moving to placements, up front, the OPPO A3s packs a notch where the 8MP selfie shooter is present, along with earpiece, microphone and the usual set of sensors. The phone comes with an 87.2% screen-to-body ratio and a 19:9 aspect ratio. The volume rockers, SIM card tray, dedicated dual SIM and microSD slots are present on the left side. While the power button is present on the right side. The 3.5mm audio headphone jack, main speaker grill, microUSB port, and a microphone are present on the bottom. On the back, it has 13+2MP dual rear cameras, LED flash, and OPPO logo. The OPPO A3s sports a 6.2-inches HD+ (1520 x 720 pixels) 19:9 IPS 2.5D curved glass display, and there is no protected glass on top. The 19:9 aspect ratio display means that the phone comes with the very popular ‘notch’ which is borrowed from the iPhone X. The front design of the A3s is very similar to most Android phones with a notch launching these days. The notch portion of the display accommodates the front camera and usual sensors. If you are a first-time smartphone user, It might take some time for you to get used to the notch and this is a trade-off to bring in an impressive screen-to-body ratio. The slim bezels on all corners of the display offer scintillating experience while playing games or watching videos as there is more screen real-estate. However, the downside to the display is the lack of Full HD+ panel. Colors and viewing angles are decent. We were able to access the display and the content on it even under direct sunlight without any issues. But the HD+ results in the lack of sharpness in the images and text even with a slight zoom in. The pixellation is quite visible even to the naked eye, and this is a letdown considering the incredible screen-to-body ratio. Then again, as mentioned above the colors are punchy and vibrant so you can have a decent experience playing graphics intensive games. The brightness levels are also reasonable, and there is an auto-brightness sensor. Since there is no protected glass on top, we suggest you be extra careful as the screen quality feels quite fragile. The touch response is smooth, and we didn’t notice any lags while scrolling or browsing on Chrome either. Overall, the display of the OPPO A3s is decent, but we wish OPPO had gone with a Full HD+ panel considering the competition. Like any other latest budget smartphone coming out in the recent times, the Oppo A3s is also powered by the Snapdragon 450 SoC clocked at 1.8GHz Octa-Core processor with 3GB RAM. This processor works in conjunction with the 3GB RAM, and the company needs appreciation for making the best use of this combination to deliver a lot of features including AI. In our tests, we were able to launch apps in less than a second. But the smartphone starts struggling when a lot of apps or several tabs in a browser are running at the same time. However, this is not going to affect the overall user experience. We didn’t notice any lag while multitasking or when switching between the apps. Only when running too many apps, the phone started lagging. The RAM management is decent, but we did notice apps running out of memory quite often, and this needs to be credited to the resource-hungry custom skin. We tried games like Asphalt 8, Nova 3, Leos Fortune, PUBG and more. It was able to handle even the massive games but at the cost of frame droppings. We noticed that the heavy games were landing in a hanging mode after playing it for a long time. For those of you who would play minor games like Subway Surfers or Candy Crush, you would not find any issues. The mobile would provide you with an immersive gaming experience while playing those small games. All thanks to the display for that. Another drawback to the OPPO A3s is that it lacks a fingerprint sensor which is a norm even among the budget segment phones. Overall, the performance of the A3s is decent, but we wish the company could have gone with a more powerful chipset that would have resulted in better performance. The lack of the fingerprint sensor is yet another drawback. Oppo A3s comes with (13 MP + 2 MP) dual cameras on the back side and an 8MP Selfie camera on the front side. The mobile relies on these dual cameras to capture stunning portraits during the daylight. The company said in its campaigns that you would not need any other camera to click a portrait. And our tests confirm this claim. The quality of the portraits captured during the daylight on A3S was on par with the claims. The A3S does all of it beautifully within the camera app. It can click good images with an ample amount of lighting and colors, and the dynamic range is quite decent too. The HDR mode offers more details to the pictures. Moving to low-light performance, the images are noisy and contains a lot of grains in them. The LED flash comes in handy, but it isn’t as overpowering as we expected. The rear camera can record 1080p videos, and the quality of the video is average at best. The camera is also powered by AI beauty 2.0. Using this feature, the app will beautify your selfie photos using its personalized algorithm. AI Beauty 2.0 adjusts easily for any individual. The 8MP selfie shooter on the OPPO A3s is again working in bits. Given the good lighting conditions, the selfies are very impressive thanks to the AI algorithm. However, again in the low-light conditions, the selfies aren’t that good thanks to the blurry and faded out results. Overall, the cameras of the OPPO A3s is decent, but it could have been better had the company bundled better optics. Oppo A3S is not shipped with any earphones within the box. So you will have to rely on the third party earphones to hear your favorite music after buying this smartphone. In our tests, we noticed how bass-oriented the mobile is. There is an apparent boost in the bass, and it is very conscious that the company is aiming to woo the buyers in this price range in the name of clear bass. While it indeed doesn’t produce audio output better than its price, it will not disappoint you either if you have a good pair of earphones. We tested with Sennheiser CX 180, and the results impressed us. The speaker grill is loud enough to cover an entire room, and we never missed a call either. In terms of video, the OPPO A3s was able to handle 1080p videos without any heating or freezing issues. We installed MX Player to adjust the aspect ratio better to fit the 19:9 display better. Even with 4G turned on, we didn’t notice any heating issues. Overall, as we mentioned above, invest some more on headphones for better audio and video experience. The OPPO A3s packs a 4230mAh battery that doesn’t support fast charging. OPPO was generous enough to pack such a massive battery, and the battery backup is nothing short of incredible. With casual to moderate usage that includes calls, listen to music, play games, GPS navigation, watch movies/shows, edit photos, a couple of selfies (since OPPO is all about selfies), the phone breezed through till the end of the day with around 20% juice still left to move into the second day. Another impressive thing about the battery is that it doesn’t drain much even on heavy use or when left idle. While our usage is little on the moderate side, the battery life on heavy usage is decent as expected. On continuous usage like gaming, watching movies or browsing with 4G, the phone had no issues lasting until the night where you will need to charge it back again. As mentioned above, the battery doesn’t drain drastically even on heavy usage which is yet another advantage. The maximum screen on time we noticed was way over 8-9 hours which is very exceptional and impressive for such a budget-friendly phone. With the bundled charger, the phone took close to 3 hours 15 minutes of time to charge fully from 1% to 100%. The OPPO A3s runs on Android 8.1 Oreo-based on ColorOS 5.1 on top. The interface is not stock it is far from being stock. Much like any other Chinese OEM, the OPPO A3s interface too doesn’t have any app drawer, all the icons and widgets are present on the home screen itself. If you wish to give it an overhaul, you can install a custom launcher. The device comes with a theme store of its own where you can download themes and change the look and feel of the U.I if you get bored with the current interface. All the Oreo specific features like long-press for quick actions, quick switching between apps by double pressing the recent menu button and gestures. There is a phone manager app which lets you manage RAM, storage, clean junk, and optimize phone. Apart from Google apps, there are a bunch of third-party apps which can’t be removed unless rooted. These bloatware apps also consume the internal storage regardless of whether you use it or not. The phones come in two variants 2GB RAM+16GB storage, and another with 3GB RAM+32GB storage. If you were to pick up the phone, we suggest you go with the 3GB RAM as this gives you more internal storage and additional 1GB of RAM. Out of the 3GB RAM, around 1.1GB is free when just the default services are running in the background. The available RAM is more than enough to handle most of your daily essential tasks without any issues. The phone can even handle multitasking with upto 3-5 apps at a time. We didn’t notice any lag or stutters while navigating through the interface or while switching between the apps. The 3GB RAM variant will have an edge here as there’s room for smoother multitasking. 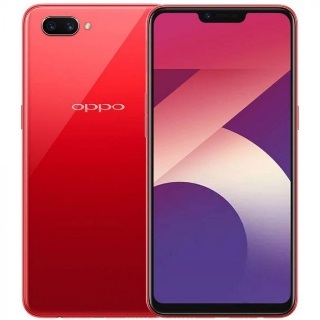 Overall, the software experience of the OPPO A3s is good, but if you are someone who likes stock U.I, then you wouldn’t appreciate what you are getting. The OPP A3s is competing in the segment where the Asus Zenfone Max Pro, Redmi Note 5 Pro, and other are creating wonders. It takes a lot for any manufacturer to outperform them, but sadly, the A3s fails to do so. The battery life is amazing, the design is good, and the cameras are also decent. But on the flip side, the display is just an HD+ panel whereas phones in the competition offer Full HD+ panels, the software is latest, but the custom skin might not attract everyone, and the performance too is not very satisfactory. Weighing the pros and cons brings us to the conclusion that the OPPO A3s is no better than the Zenfone Max Pro, or the Redmi Note 5 Pro. So, if you were in the market looking for a phone, you are better off picking either of the phones mentioned above.